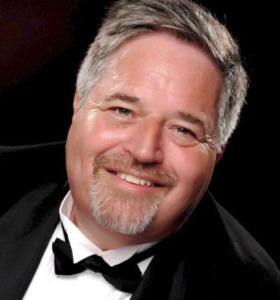 Daisho-Lite System – from Tony Langley and Tim Lowe. Seriously? I can't believe the naysayers and 'tyre kickers' are now calling this a scam!! ... but a handful of disgruntled competitors and serial complainers who can't be bothered to follow instructions have been hard at work on a smear campaign saying it doesn't work!! Tell that to Christopher S of Cambridge who tells me he's been making between £9,000 to £10,000 per month with the methods in this system and has consistently been doing so for 12 months! Or Steve Richardson of Bury who says he's happily making between £2,000 and £3,000 a month using the same methods very much on a part time basis! Now don't get me wrong, I'm not saying that you'll do the same as Christopher S, Steve Richardson or anybody else for that matter ... how well YOU do will entirely depend on how much effort you put in and of course different people will get different results based on how well they follow the system as well as how often they use it! SO, THE CRAZY THING IS THAT THE NAYSAYERS AND TYRE KICKERS ARE MISSING OUT!!! 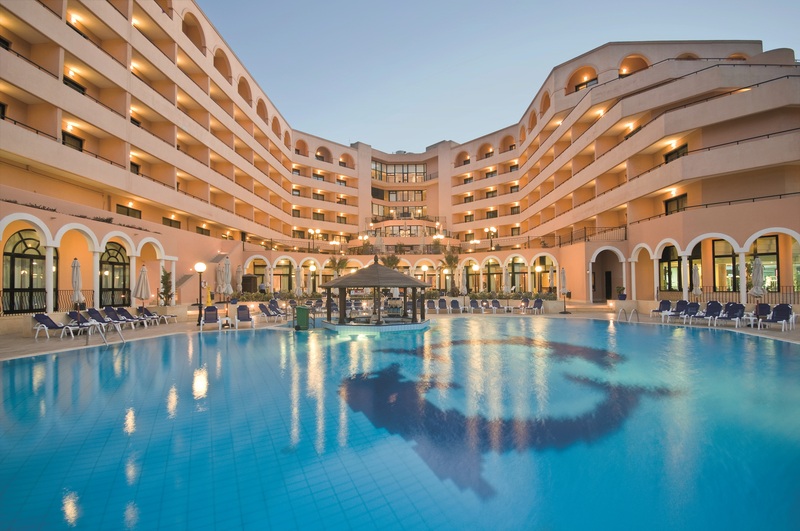 Seriously, now is a perfect time to get involved ..
Read on to find out how you could literally save over £2000 and join the hundreds of people who took up the original offer and already have the opportunity to make a great additional income with this incredible system! ... a minimum of £200 to £400 in 30 days or less. What is wrong with these people?!!!! ... yet the naysayers, tyre kickers and serial complainers who don't seem to have anything better to do are STILL calling it a scam! That's despite Tony Langley, the guy behind the system, publishing every single one of 559 results he got, as they happened, for twenty straight months (... with each one being subject to the public scrutiny of hundreds of customers) and in later months even making video recordings of everything he was doing in real time. ... or Steve Richardson of Bury happily making £2,000 to £3,000 a month using the same system. And let's not forget the plethora of other people who have given us positive feedback and told us how well they're doing, some of whose comments you can read at the end of this letter. Of course I realise that this might not be good enough for the average naysayer or idle tyre kicker but the thing is, at least in my opinion, there's an overwhelming amount of proof to show that this system works and works brilliantly!! Now as I've already said, I'm not for one minute suggesting that you will get the same results as anybody else as naturally results will vary depending on how well you follow the system and how much effort you put in. ... there is a tremendous opportunity here to make what, for many people would literally be a life-changing income!! You see, when we first offered the original system we had no choice but to close it not long after because Tony was up to full capacity with the numbers of people he could genuinely support. Of course many people felt that they had missed out and asked us to re-open the offer but Tony just didn't have enough hours in the day to help any more people, especially as he wanted to concentrate on some other personal projects. We were able to solve this by offering Daisho-Lite, a heavily discounted system which was essentially the same methods offered but without Tony's personal support. ... but it seems I was wrong! What surprised me was how quickly I was bombarded with emails and calls from people who felt they'd missed out once again! Which is why we've decided to re-open Daisho-Lite again so that ANYONE who felt they wanted 'in on it' doesn't have to miss out again! Get ready for DAISHO-LITE ... your opportunity to get the same methods used by other customers like Christopher S from Cambridge who tells us he makes between £9,000 and £10,000 a month! You see, you may or may not know already but in 2013 my good friend Tony Langley showed me a remarkable strategy that he'd developed which had allowed him to literally make thousands of pounds a month without ever facing a single losing situation! ... which made it even easier for anyone, if they followed it correctly, to enjoy the thrill of using Tony's methods to make a life-changing income as Christopher, Steve and many others tell us they've done, WITHOUT having to worry about losing their original stake!! Unfortunately, due to sheer demand we had to close that offer for good because there literally weren't enough hours in the day to provide the face-to-face training and personal tuition that was available to anyone who wanted it! ... but because of my new idea, you wouldn't have to pay anywhere near the price that it was offered for in the first place! Now before we go any further, I'm going to show you how you can get instant access to a genuine NO OBLIGATION demonstration of exactly how this all works, with REAL LIFE EXAMPLES of the methods being used so you can see what makes it so special and ultimately WHY it's so different from anything you may have seen in the past ... before you actually commit to using the system! ... THIS IS YOURS TO KEEP JUST FOR FINDING OUT WHAT THE DAISHO-LITE SYSTEM IS ALL ABOUT!!! ... if you're still with me, grab yourself a coffee, get comfortable and read on as I tell you why this amazing opportunity is one that you just won't want to miss! 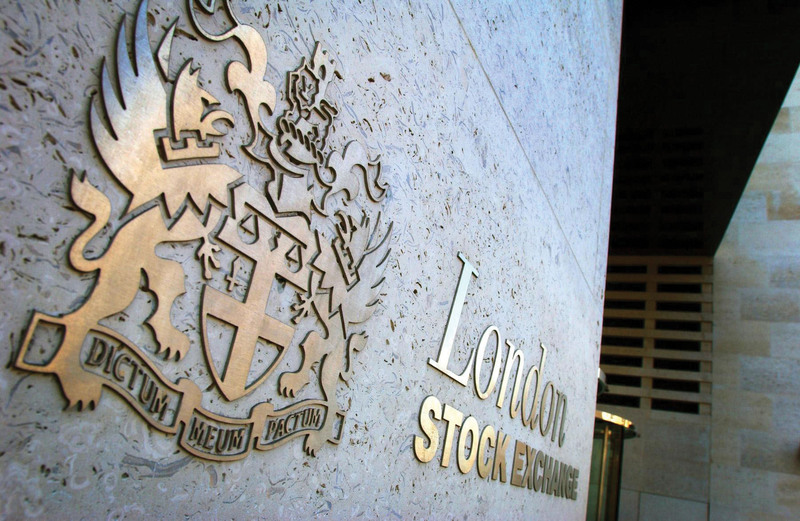 Now we all know there are plenty of extremely wealthy individuals who regularly make thousands, millions and sometimes billions of pounds from various markets around the world but if you're anything like most people you probably think of investing in these markets as a sort of 'some you win, some you lose' type of thing. ... or at the very worst you simply break-even but NEVER have to lose overall?! You'd think I'd gone barking mad right?! Read every word of this letter to see how you can get access to a system that could enable you to make a life-changing tax-free income! ... I'd like to invite you to watch the demonstration showing actual 'real life' examples, so you can see just how easy it is to make this kind of cash for yourself! Forget Lottery tickets, forget taking a punt on the horses, forget hoping to inherit a fortune ... using 'Daisho' methods means that once you 'get it', you can now enjoy the excitement of making typical returns of £76.80 ... £97.78 ... £191.93 ... £246.93 ... £337.22 in 90 minutes or less ... WITHOUT the 'fear' of losing your original stake!! ... because they want a quick fix many are turning to high-risk schemes or strategies in order to try and land that elusive windfall that will sort out their financial worries once and for all. Unfortunately however, because of the pretty poor calibre of most of what's on offer these days the majority just end up losing much more than they ever gain which obviously leaves them actually worse off than before! But that's what makes the Daisho methods so special. ... but because of an ingenious 'failsafe' mechanism, the remaining 3% of the time you should still make a small profit or at the very worst break-even. In other words, if you follow the system correctly, you never lose overall! It's such an amazing concept. 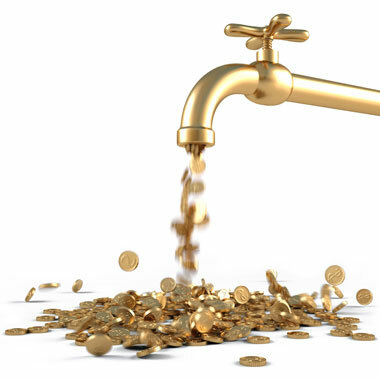 In fact, once you truly 'get it', it's like having 'CASH ON TAP' because you always know you can generate an income whenever you need it without the fear of losing anything in the process! Of course, when the guy behind it, my good friend Tony Langley, developed the forerunner to this a few years ago, initially no one believed it was possible. ... they even tried to 'catch him out' by making stuff up to show his system couldn't possibly do what he said it could! ... but enabled him to pull in THOUSANDS OF POUNDS OF TAX-FREE CASH EVERY MONTH from it without EVER facing a single losing situation! Well what I'm talking about is taking advantage of certain situations that frequently arise in the football markets! ... has made hundreds of thousands of pounds from a rather clever and specific way of profiting from a series of events that happen regularly during certain games of football! Now don't worry if you're not interested in football (... neither am I and nor is Tony for that matter) because with this system it's completely irrelevant (... although if you are one of those odd people who do happen to like it this will still work for you just fine )! The thing is Tony is obsessed with finding ways of generating cash without suffering any downside, which is why a few years ago he was delighted when he discovered that the football markets offered the perfect platform for what he needed! Now I'll explain how these work in a moment but for now, let me just tell you that initially when he was testing his methods, Tony suffered losses like everybody else. However it didn't deter him because he could see that the particular approach he was taking offered a number of unique possibilities that just weren't available through other platforms like forex or the stock market, which would enable him to either make a profit or at the very worst break-even. In other words he knew that with just a little perseverance there had to be a way of making the football markets profitable REGARDLESS of the outcome of the match! ... he eventually had a 'eureka' moment and found an ingenious way to ALWAYS get out of a situation should it go against him ... WITHOUT losing any cash ... and sometimes even then still make a small profit!! FINALLY, MAKING A PROFIT EVEN WHEN THINGS 'WENT AGAINST' HIM WAS A REALITY! Since then he's gone from strength to strength and with hundreds of thousands of pounds of tax-free profit behind him (... and having recently retired from his job) he continues to make thousands of pounds 'pocket money' any time he wants to from his discovery. 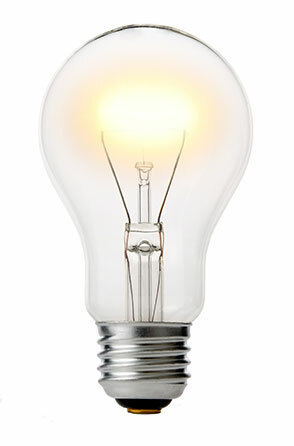 ... then the incredible new Daisho-Lite System is going to 'blow your socks off'!! You see this 'discovery' changed Tony's life and it can change yours too! Not only has this additional income made a HUGE difference to his own lifestyle but it's also made a massive difference to those around him as well. For example, if ever he fancies taking his wife away on a luxury holiday, he simply uses his system to pay for it outright. If he needs a new car, he buys it for cash knowing all too well that he can always recoup the money in no time (... he's made over £15,000 in a single month before and bought his wife a car with the proceeds). ... he decided to pay off the mortgage of his favourite uncle as well!! Can you imagine what it would feel like to be able to do that for a close member of your family? Not many people get that opportunity but because of the FREEDOM AND FINANCIAL SECURITY OF EXTRA TAX-FREE CASH this system could give you, it really could enable you to do these kind of things yourself! ... over 20 months he deployed his system 559 times (...an average of just under 7 times per week), on 544 of those occasions he won and made a decent profit, on 14 he won but only made a small profit and on 1 occasion he just broke even ... NOT A SINGLE ONE LOST (... details of every transaction is shown at the end of this letter)! ... IN OVER 20 MONTHS OF USING HIS SYSTEM, HE DIDN'T MAKE A SINGLE LOSS!!! None of this has stopped him from looking for even easier ways to do it! You see unlike with most money making strategies that tell you that some losses are inevitable if you want to make a profit overall, Tony has just never accepted that. 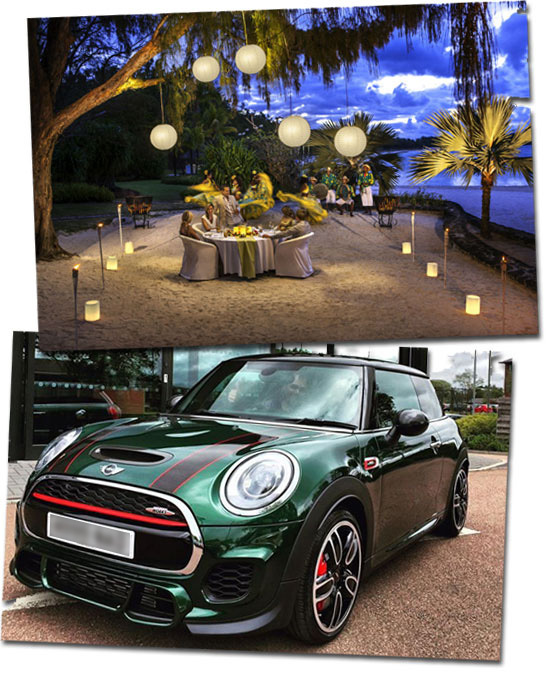 Which is why, from the moment he discovered that his 'always win (... or at the very least break-even)' formula finally worked, he's become obsessed with finding new and exciting ways to make a decent income without ever losing any cash in the process! So when he called me at the start of last year to tell me he'd been working on something new I have to say it got me more excited than anything else I've seen in a long time. Now it has to be said that Tony is a genuinely nice bloke and anyone who knows him will tell you how much he loves showing people what he does and how if they use his system in the same way as him, they will always make money. "... is going to blow your mind Tim ... more people than ever will be able to do this ... it's going to be huge!" What he went on to explain was something that in my view is nothing short of genius! Basically he'd been working on a new 'simplified' strategy that still uses his 'always win or at the very least break-even' principle but is easy to master making it perfect for ANYONE who's looking to create some extra revenue, from complete beginners all the way up to seasoned professionals! ... It's based on the principle that YOU can ALWAYS WIN, or at the very least break-even! Just imagine being able to follow a step by step process whenever you felt like it knowing that you'll NEVER lose overall ... in other words you'll sit down to do this 100% confident that you'll be making a profit time after time after time. ... THERE'D BE SIMPLY NO REASON WHY YOU SHOULDN'T BE ABLE TO HAVE HUNDREDS IF NOT THOUSANDS OF POUNDS OF CASH POURING INTO YOUR BANK ACCOUNT!!! Well this is the underlying principle behind what I'm about to show you. You see, every single day, literally Millions of pounds changes hands as people simply gamble or take a punt on the outcome of various different events that happen all around the world (... but don't worry, we're not going to be joining the leagues of mug punters out there putting money into the bookies' pockets)!! 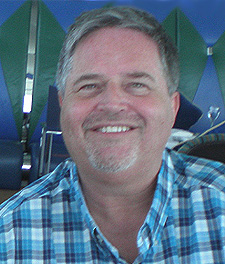 However, in recent years, because of the rapid growth of the internet the way these punters place their bets has changed and this has allowed a fantastic new opportunity to develop where it's possible for people 'in the know' to 'offset' other people's bets in such a way that they can 'cream off' a healthy chunk of profit for themselves. ... and do no worse than breaking even or making a small profit the remaining 3% of the time (... in other words there is NO NEED to ever make a loss so long as you follow the system correctly)! ... AND THERE'S NO TAX TO PAY ON THOSE PROFITS EITHER!!! ... It's quick and easy to master from the comfort of your own home and in a timescale that suits you! In fact virtually anyone with just the most rudimentary computer skills can do this! 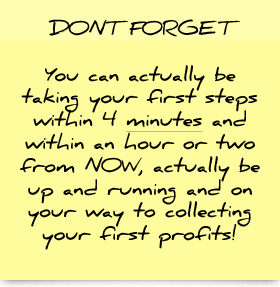 ... then within an hour or two from NOW, you could actually be up and running and on your way to collecting your first profits! ... there's nothing quicker or simpler out there! The whole process can be achieved in much less time than most of us spend watching TV on any given day! Of course there are numerous opportunities to enhance your earnings at certain points during the day as well as into the evening, so you can do as little or as much as you want to before just sitting back and watching the cash roll in! By the way, as luck would have it, the betting exchanges I was referring to above are busiest on Saturdays and Sundays, so for most people the biggest profit opportunities are when they have the most spare time anyway (... although don’t worry, the system works beautifully with whatever spare time you’ve got)! Just imagine what your friends would say if you chose to give up work and like Christopher S of Cambridge you were still ‘clearing’ a tidy £9,000 to £10,000 in your pocket every month! The trouble with many cash generating strategies, especially those that are based on forex or the stock market for example is, there's always that risk of a losing run that could 'wipe out' your bank before you even get to the point where you're making any profit at all! Well the beauty of the Daisho-Lite System is that, if you follow it correctly, the ingenious failsafe mechanism helps protect you from losing, so you can effectively start with a considerably smaller bank and then build it up slowly without the fear of it ever being wiped out!! 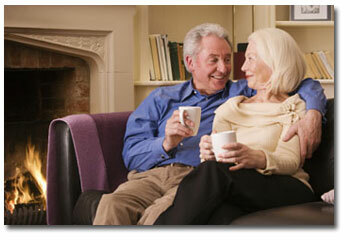 ... is easily enough to get you to start using the system and be well on your way to a brighter future! ... It doesn't require any technical skills or special abilities so it's perfect for anyone, from complete beginners all the way up to seasoned professionals! Unlike investing in other forms of financial markets where you have to analyse or spend forever and a day studying financial charts and really have an in-depth understanding of whatever market you're into, when you utilise the football markets, you don't need any of that stuff! The whole system is based around a simple set of methods that only work if certain criteria are satisfied which means that you don't actually have to make any decisions about what to actually do and when! Of course, the system makes it easy to identify matches that satisfy the criteria and what's more, even if you have only the most basic computer skills most of this is just point and click sort of stuff anyway so operating the system is an absolute doddle! You really can become familiar with the methods completely at your own pace so as soon as you're ready you really can hit the ground running and start profiting without ever having to face that fear of losing overall!! ... you can use Daisho methods on any match that fulfils the criteria played anywhere in the world so just think how many opportunities that makes for you to profit! ... You really don't need to like football or have ANY interest in the game whatsoever! This is perhaps one of the most surprising things about this whole system but it's absolutely true!! The thing is, the football markets are just a platform that suits it perfectly because they enable several transactions to be made at once where at least one WILL ALWAYS win in a way that cannot happen with other financial markets! Now the key to the Daisho-Lite System is that this transaction always makes more than, or at the very least enough to cover the cost of any transaction that doesn't make money so the very worst you'll do is break-even ... but almost always you'll make a decent profit! It's such an ingeniously simple idea and I'll explain exactly how it works in a moment but for now, let me just say that when you see it in action I just know you're going to be chomping at the bit to get cracking on using it yourself! However, the wonderful thing about this system is that you don't have to watch football or even have any interest in the game because the platform itself along with various other bits of software provide all the information you need in order to make the relevant transactions when required. Of course, if you do happen to like football that's not a problem either! There's absolutely nothing stopping you profiting from matches that you happen to be interested in or are watching anyway! 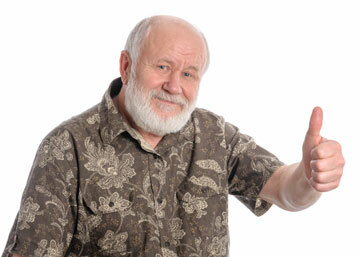 The point is, whether you enjoy the game or not, it really doesn't matter because the Daisho methods work regardless! ... It requires nothing but a basic laptop, mobile phone or device that can connect to the internet ... which means you can do it from pretty much anywhere in the world! This is something many claim but so few can really deliver but with this system, as long as you can get online you can quite literally do this from practically ANYWHERE in the world! You see, the internet has made such a difference to the way we can earn our living nowadays ... in fact, just to give you an idea, Tony regularly uses his system while he's on holiday often paying for the whole trip itself while he's away! ... I think you'd agree, that in itself is quite remarkable. 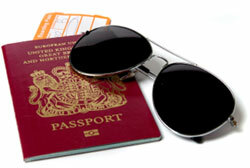 ... whether that be from a remote Caribbean hideaway or a luxury ski lodge in the Alps! ... You don't have to give up what you're doing now if you don't want to ... it's totally flexible around your schedule! ... you could be using the fantastic Daisho-Lite system pretty much whenever it suits you! Also once you understand how it all works and have become familiar with the methods you'll soon see that the whole thing requires minimal effort so not only could you do this WHEN you want to but you could do it without ever leaving your living room! ... whether your goal is to just make a little extra 'pocket money' or a life-changing income, the flexibility of Daisho-Lite means that you can work towards this at a time to suit you! ... There are no roadblocks, no big overheads, nothing to hold you back! Some people don't even get as far as starting - often through no fault of their own ... but one of the reasons I was so excited by this opportunity is that there are no roadblocks to you getting up and running immediately. Imagine having a fantastic income and lifestyle WITHOUT having any customers to deal with!!! • NO selling or marketing of anything ... AT ALL! In other words every penny you make is yours to keep ... you don't even have to pay any tax! Seriously, there really are NO roadblocks in your way ... you could get started in the next 4 minutes, be up and running within an hour or two and soon after see the first profits arriving in your account! ... Even the 'naysayers' will finally get it! Because Daisho-Lite is SO EASY to understand, there's absolutely no reason why the usual 'naysayers' and 'tyre kickers' will have anything to moan about or pick apart! In fact rather than 'attack' Tony, when they finally 'get it' they'll almost certainly want to get on board and join him! 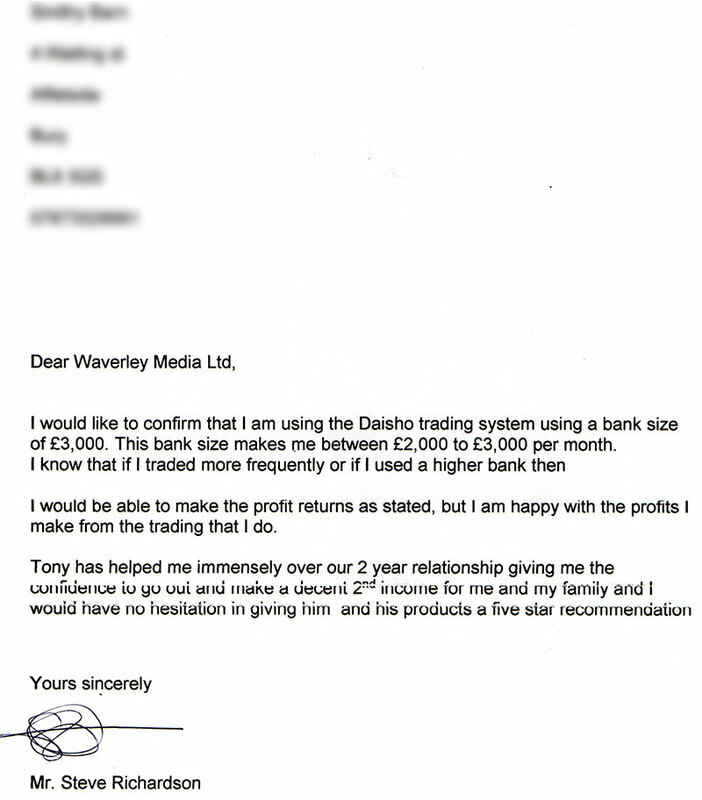 Don't forget the system is proven, there's documented evidence of results from an earlier version BEFORE Tony simplified it and added to it (... details of every transaction can be found a little later in this letter)! Just to remind you, over 20 months he deployed his system 559 times (...an average of just under 7 times per week), on 544 of those occasions he won and made a decent profit, on 14 he won but only made a small profit and on 1 occasion he just broke even ... NOT A SINGLE ONE LOST! Now, using the same methods YOU have the opportunity to generate typical returns of £76.80 ... £97.78 ... £191.93 ... £246.93 ... £337.22 TAX-FREE in 90 minutes or less which you'll soon see can easily add up to a very healthy additional income! ... Finally, and perhaps the most important point of all! 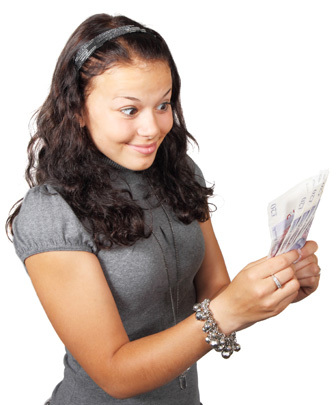 Remember that this programme is designed to make a decent profit from millions of transactions that occur every day and as you know, some of the people who are already using it tell us that they're pocketing between £2,000 and £10,000 A MONTH(... please remember that your results will vary depending on how well you follow the system and how much effort you put in). ... this NO OBLIGATION demonstration is for your peace of mind so you can decided whether it's for you or not!! In a nutshell, what Tony's designed here is a system that is simple and straightforward to use so that virtually anyone can make some extra cash pretty much as and when they feel like it. Whether you simply fancy 'scoring' some extra cash or would really go for it and make a life-changing income, the new Daisho-Lite System is the one you've been waiting for!! The bottom line is, because this works on a clever yet very simple principle, once you understand it, it's easy to make money from it! ... you ALWAYS either end up on top or at the very worst break-even!! It really is truly remarkable. Of course, as I said above, an important part is knowing which football matches it'll work with and Tony's finely tuned formula makes finding the games that fit the criteria an absolute doddle! 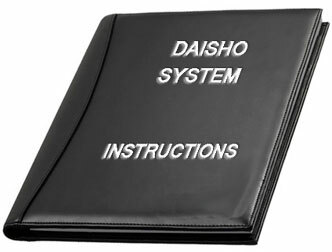 That said (... and this is some legal stuff ), I do have to point out that I'm NOT saying that you will never lose money if you use the Daisho-Lite System, after all, I'm sure that no matter how robust the system, somebody will always find a way to not follow instructions. I'll also remind you, as I have done many times already, that I'm not saying that you will get any particular result or even the same results as anybody else. All I can tell you is what other people have told me they have achieved with this system. The results you get will vary depending on how well you follow the system and how much effort you put in! What I am saying however is that Daisho-Lite is a massive leap forward and a major evolution of something which was already fantastic and which Tony used 559 times, across nearly two years, without having a single loss. 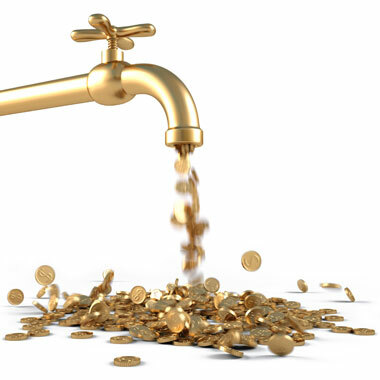 ... there IS a way that you can effectively have 'cash on tap' whenever you need it without the fear of losing!! Now if you've never done anything like this you may well be wondering how offsetting on the football markets actually works. ... would have to go to a high street betting shop to have their 'punt' on their chosen result. However, these days, because of the simplicity of using the internet, more and more people who in the past wouldn't have bothered, are now using online betting exchanges where they don't bet against a bookmaker, but instead gamble against each other (... betting exchanges are a bit like an online version of the stock exchange, the difference being that rather than buying and selling stocks or shares, people are effectively buying and selling bets)! And this system is certainly not about that! ... in other words, no matter what happens, so long as you follow the system properly, you will at the very least get your £100 returned!!! You see the new Daisho-Lite System takes advantage of the fact that, unlike the old fashioned bookmakers, these modern betting exchanges don't just allow single bets on which team will win a football match but they also have many other 'markets' for the SAME GAME that people can place multiple bets on. You can place a bet on who WON'T win it (... meaning the other team will win OR it'll be a draw)! And you can bet on who will score a goal first, or whether the final result will be under or over a certain number of goals! In fact there are so many different 'markets' available per match that I can't list them all here, but it's by taking advantage of some of these other markets that enables the new Daisho-Lite System to offset one thing that happens in a game of football off against another in such a way that one has to outperform the other! The easiest way to understand it is to think of it as making a bet which is pretty well certain to win, BUT, 'just in case' making another different bet, in a different market, which acts like an insurance policy so if one bet doesn't win then the other, 'insurance bet', has to win. Imagine Chelsea are playing against Manchester United and Chelsea are expected to win (... it doesn't really matter how likely or unlikely this is, it's just an example). You place a bet that Chelsea will win, in the main market and this is your main bet. Then you offset this with a second bet in another market where you can predict the final score, here you bet on the various outcomes where Chelsea don’t win (... such as a 0-0 draw) - this is your insurance bet. That's why Tony calls this principle 'insured offset betting' or offsetting for short! Simply put, the profit from the better performing one is ALWAYS more than, or at least enough to cover the cost of the less profitable one!! A Daisho insured offset bet simply works by making sure that the profit on this win is ALWAYS more than, or at least enough to cover the cost of any bet or bets that don't win. Incidentally, you're probably wondering why we call it 'Daisho'? 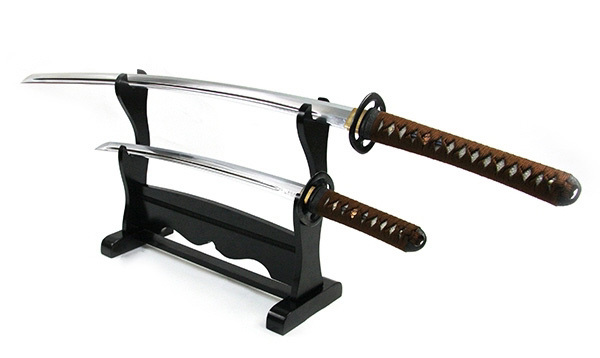 Well, this is actually a Japanese word literally meaning 'big-little' and is used to describe the matched pair of Japanese swords worn by the Samurai class. The warrior has his two swords, one big and one little, and is popularly reputed to always win in battle using one or the other! By using a very specific criteria to select the right matches Tony gives himself a HUGE advantage at the start of a match so that around 97% of the time this win is MUCH MORE than the amount needed to cover the original investment ... which means that 97% of the time he makes a decent profit. The other 3% of the time the transaction pretty much balances out and either makes a small profit or at worst breaks even. The important thing to remember with this system is that EVERY 'insured offset bet' will EITHER WIN or at the very least break-even ... 97% of the time it will make a decent profit and just 3% of the time it will only make a small profit or at worst break-even! Risk Warning: Please note that we use the words 'if you follow Tony's methods correctly'. This is because if you don't follow his methods correctly, you stand a very real chance of losing money whilst using the system. Tony's methods are designed to allow you to manage the whole process in such a way that you win and make a decent profit 97% of the time, however if you do not follow the instructions properly or make a mistake, then of course the situation is completely different and you may well lose money. This is one reason why you are encouraged to ensure you are completely familiar with the Daisho-Lite system before you use it. Now just for the record, remember I said you don't even have to like football? Tony hates it, in fact up until recently he didn't even understand some of the rules! The thing is with this you don't need to have any interest in the game whatsoever. Tony has set this up in such a way that he doesn't even have to watch any matches and neither do you (... although of course you can if you want to ). 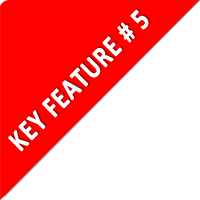 Instead, when you choose to run the system, just as he does, you can use a little piece of free software that sends an alert to your computer, smartphone or ipad if something happens during the game which needs your attention. Naturally this means you can be 'in' on a football match and making money but still be getting on with other things that you want to do at the same time!! ... so you never have to wait more than a few minutes after the end of the match before you actually see the money turn up in your account!! You see, no-one likes losing anything but to win without the fear of losing is a different thing altogether!! Which is why this is such an extraordinary opportunity because when you get it, as long as you follow the system correctly, you genuinely don't have to worry ever again about losing your hard earned cash when trying to make money!! Remember that cash on tap? Well this really is the closest thing to it you'll ever come across! Now in a moment you'll have the opportunity to access an actual demonstration of Tony using the system himself, proving how profitable it is and REALLY SHOWING YOU how different it is from anything you will have ever seen before. As you watch it the first thing you'll notice is how passionate he is about his system. The second thing you'll notice, and most importantly is how enthusiastic he is to help ANYONE to succeed if they really want to learn his methods! HE JUST LOVES SHOWING PEOPLE THIS! ... ANYONE who takes the time to become familiar with the methods can genuinely learn to follow them themselves without ever facing a single loss! ... in other words, people who were enthusiastic and would actually get on and do what he showed them (... rather than those who were just curious and wanted to find out how it all worked without having any intention of doing anything with what they discovered)! Now though, with Daisho-Lite, it could be YOU using your spare time to pull in regular profits of £76.80 ... £97.78 ... £191.93 ... £246.93 ... £337.22 in 90 minutes or less ... TAX-FREE! ... this is all about making a decent profit 97% of the time and only making a small profit, or at worst, breaking even the other 3% of the time, REGARDLESS of the outcome of a football match! Over a period of nearly two years he literally deployed his system 559 times and published the precise results of every single one as he did them. Of course, as you'd expect, these details were subjected to endless online scrutiny so to back this up Tony made many videos showing his actual account and even recorded and published dozens of LIVE examples in 'real time' AS HE DID THEM! Out of 559 matches that he used his system on over 20 months (... which worked out an average of just under 7 per week), 544 won and made a decent profit, 14 won and made just a small profit,1 broke even and not a single one lost any money overall! ... they're a fantastic way to make hundreds if not thousands of pounds a week (... don't forget, Tony has earned over £15,000 in a single month this way and has pulled in hundreds of thousands of pounds in the last few years alone). ... for 20 straight months! £10,216 in 7 months or less! Of course it's entirely up to you how soon you start withdrawing your money but by waiting a few months and allowing your 'starting bank' to build up, you'll make much more money overall and will reach the point where you can withdraw thousands of pounds of TAX-FREE profit TO SPEND EACH MONTH that much sooner. Now you could actually start with less than this but realistically, the more you begin with, the quicker you should see significant returns hitting your bank account. WITHDRAW £10,000+ EVERY MONTH FROM MONTH 7 ONWARDS! Of course I must stress that the tables above are hypothetical examples but they are based on THE ACTUAL RESULTS obtained using REAL money over nearly two years, so you can see what is possible and how these small profits can soon add up. I should also remind you at this point that I'm not claiming you'll get the same results as anybody else or indeed make any money at all! The results you get will vary depending on how well you follow the system and how much effort you put in. Now I'm sure you'll be getting really excited and starting to try to work out how long it would take you to make your first million if you just let your bank grow by 65.5% a month. That’s completely understandable but before you get too carried away, just a word of caution. Once you're using the Daisho-Lite System properly, you're probably going to want to make as much money as possible, but I do just need to make you aware of one thing. As an individual user, realistically you won't be able to grow your bank indefinitely, and Tony estimates that around £2,250 to £3000 a week (... £9,000 to £12,000 a month) is the maximum profit that anybody, even him, can expect to make with this system. ... any money you make would ALL be EXTRA cash for you to spend in any way you want to! ... BUT MAKE SO MUCH MORE MONEY!! These days it's not unknown for him to make around £1,000 from a single insured offset bet which he then takes out of his account to spend however he chooses! 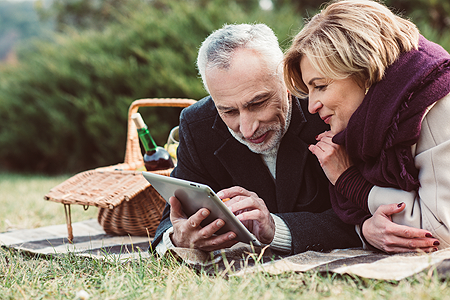 Can you picture yourself enjoying spending cash that you can make any time you need it? ... you really could be making a serious income without ever leaving your living room and whenever it suits you purely because of an extremely clever way of placing a few insured offset bets on football matches out of the hundreds of suitable games that are played every month around the world. ... when you truly understand how to place these insured offset bets on a football match without ever losing, you know you can always make a profit and look after you and your family, no matter what's happening in the world around you. And now, you're about to have the opportunity to be one of them! And there's another thing ... don't forget ... YOU GET PAID ALMOST INSTANTLY!! Unlike other ways of earning money, when you use this system on the sports markets, there’s no waiting for weeks or months to see your money growing ... in fact the money arrives in your account almost instantly, and never longer than 90 minutes after. And you really can fit it around your current situation ... which means there’s NO disruption. Ok, just before I give you details of how you can access the demonstration and discover the ingenious insured offset betting secret that makes all this work, there is a small issue that I feel is really important to mention first. ... in fact in some cases they don't even open the box it came in! It's madness, especially if they've paid a lot of money to get the information in the first place. But it's also a massive shame because sometimes people are SO CLOSE to changing their lives forever and if they'd just done as they were shown they could be enjoying a whole new way of living without the worry of the financial constraints that affect the majority of people in everyday life. So it's for this reason, despite the heavily discounted price that we're going to be offering this for, it's REALLY important that you watch the NO OBLIGATION demonstration of the system in action so you can decide whether it's for you or not. And ultimately ensure that you're completely comfortable that YOU can place these insured offset bets in exactly the SAME way that he does and effectively have 'cash on tap' whenever you need it without having the fear of losing!! In other words, you can see for yourself why this programme is so exciting and if you follow his instructions to the letter, it truly could change your life within days if you do EXACTLY as he’ll show you! ... after all, if Tony's pulled in hundreds of thousands of pounds over the last few years (... and still continues to make huge profits from his system to this day), there's no reason why you can't too (... although I must remind you that results vary and yours will depend entirely upon how well you follow the system and how much effort you put in)! Now, you may be asking yourself why am I offering you this? Of course that's a fair question, and the answer is actually extremely simple. This truly is one of the best programmes I've ever promoted. However, despite me offering it many times in the past, too many people missed out when I had no choice but to withdraw the offer for good because they 'sat on the fence' for too long. I've literally had to turn so many people away and from a business point of view this just makes no sense whatsoever! However, he absolutely loves doing it ... it's his hobby, his passion, his pastime, which has made it extremely easy for him to help others to do what he does (... you literally can't shut him up when he starts talking about his techniques with other people who are genuinely interested )!! Now not long ago, with my backing he agreed to personally share his incredible 'Daisho' System with a number of privileged individuals in a series of 'behind closed doors' demonstrations and training workshops. ... plus the fact that to fit everything in, these workshops had to be spread over two days. Consequently Tony only wanted to do a limited number of them. In fact, we even had to turn people away back then! So, in order to deal with that we had to do something else. ... we recognised that some people would prefer to learn at a different speed from the comfort of their armchair or they simply don't want to travel! We'd offer a a comprehensive set of written instructions which shows exactly how the system works backed up with a series of bespoke screen capture videos to show absolutely everything he taught at the LIVE demonstrations and training workshops, in such a way that he could share everything with the people who missed out. Now this too was incredibly successful and although Tony didn't want to do any more of the two day events, he was still more than happy to personally help people who are interested in what he does and so continued to offer his personal support. The offer was almost too successful! Even though all the information is completely documented, there just aren't enough hours in the day for Tony to continue to offer one-to-one support to those individuals who'd rather be taught what to do personally than read the information and watch the videos for themselves! Which is why sadly, we HAD to close the offer down! As I said, it's been so frustrating for me but I had no choice but to honour Tony's desire to enjoy his retirement and continue to have the time to use his system as and when he wanted to rather than being constantly available to help other people. Which is why my 'light bulb' moment couldn't have come at a better time!!! 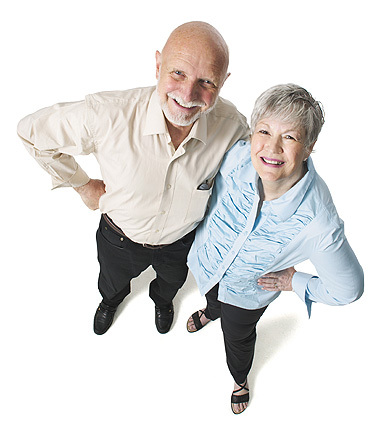 What was to stop me offering the core methods of the Daisho System without personal support? Naturally, I knew that this would require me to make it available at a discount rate but this option seemed to be a perfect solution for so many people who had previously missed out and wouldn't burden Tony with the extra pressure of supporting even more people! Now if you were cynical you could be forgiven for thinking that, to cut the price, we were simply offering an inferior version of the methods included in The Daisho System ... but you'd be totally wrong! 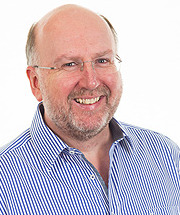 ... in other words, the ESSENTIALS that will enable you to learn the same secrets as Christopher S from Cambridge who tells us he makes between £9,000 and £10,000 a month using these methods! And that's what's available once again. ... but to ensure that you have as much information as possible, as I mentioned above, Tony has also created a series of exciting bespoke screen capture videos to not only show you how to set everything up in step-by-step detail but also to show him using the system with actual REAL LIFE examples. These aren't just made up examples, they're true, proper demonstrations of him actually using his 'always win or at least break-even' strategy so anyone who watches them can see the ingenious insured offset betting secret behind the system that makes it so profitable. Simply put, whether you prefer to learn by reading or by listening or by watching demonstration videos or by doing all three(!) you have everything you need! The bottom line is ... you'll be getting the real key elements, essentially EVERYTHING you need to learn the secrets behind making a life-changing income!! Seriously, this is a 'no fluff, no filler, tell it like it is system which is designed to get you to actually get on and do it!!! Of course, you'll have the added advantage of being able to pause, playback, rewind and review so you can try things out and practice at a pace that suits you, all of which is one of the reasons why we're so confident that you will be successful with this programme! And now, you'll have access to all this information as if you had been one of the privileged few who were personally trained by him in a LIVE environment but for a fraction of the original cost! 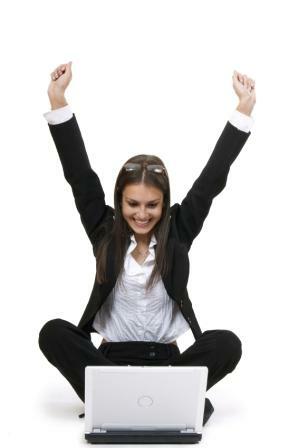 In a moment I'll show you how you can access the 'NO OBLIGATION' video demonstration of actual examples and profits made so you can watch it and see how this truly clever insured offset betting system actually works, BEFORE deciding whether you wish to carry on with the actual Daisho-Lite Programme or not! Once you decide to continue with the programme of course that's when it gets really exciting because Tony will then go through ALL the steps in his unique Daisho-Lite System, one at a time, from start to finish, just as if you were at the original meetings. You'll be getting comprehensive written instructions backed up by bespoke screen capture videos which will literally show you in step-by-step detail how to set everything up and use Daisho-Lite in the same way that he does! You'll be able to get 'hands on' and by watching and copying him using his system you'll learn how to MAKE A PROFIT OR AT THE VERY WORST BREAK-EVEN, NO MATTER WHAT THE OUTCOME OF AN EVENT. By this stage you'll already know that if you do it the way Tony does, it really is possible to place insured offset bets on the football markets and be absolutely certain that you're either going to make a decent profit 97% of the time and the remaining 3% of the time, either make a small profit or at the very worst break-even, so you simply NEVER have to deal with the stress of possibly losing in the process! 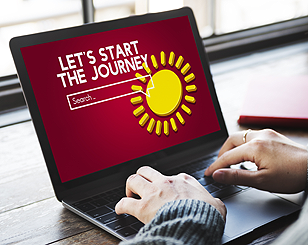 You'll very quickly see just how straight forward it is to pull in hundreds or even thousands of pounds profit every month as you work your way through all the material and become familiar with they system. By the end of the training material (... that you can study over and over don't forget), you’ll be in absolutely NO DOUBT about what to do. ... £2,000 to £10,000 every month! 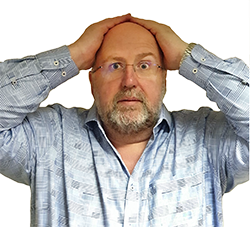 You'll also discover how to get hold of the special FREE software that Tony uses which alerts him on his computer, smartphone or ipad if something happens in a game which requires his attention so he doesn't even have to watch football! 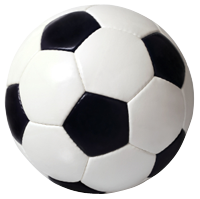 Of course if you like the game you may well be watching a match anyway but for those of us who aren't keen on football, this software is a perfect solution to enable you to still make money, while getting on with other things!! You'll be shown how to access several little known internet locations that hold critical information which is then fed into his formulas to identify the profitable opportunities and just as importantly, telling you when to avoid certain matches! Also remember what I said earlier. You don't need any special technical or computer skills to do this. Tony's comprehensive written instructions backed up by bespoke screen capture videos will walk you through absolutely everything right from the very beginning.. 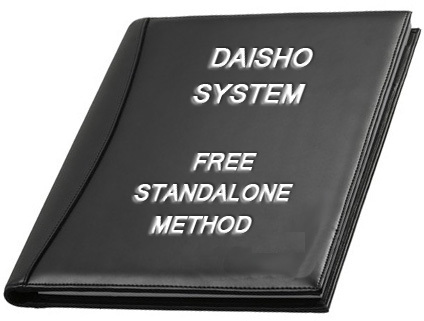 Initially you'll be given a 'standalone' system that is yours to keep regardless of whether you decide to continue with the main Daisho-Lite System or not just for accessing the 'no obligation' demonstration. This alone made a minimum of £200 to £400 in 30 days or less in our testing (... please be aware that this system can be used as often as you like but the amounts that you could make will vary, largely depending upon how well you follow the system and how often you utilise it)! After that, you’ll be able to follow EVERY step of the Daisho-Lite System and see exactly how you can use it to earn hundreds or even thousands of pounds of tax-free cash every single month in your pocket! You’ll be shown how you can do this from practically anywhere in the world (... so long as you have an internet connection) and you certainly don't have to give up what you're doing now if you don't want to ... it's totally flexible around your schedule which means, if you want to, you really could be making money while you’re away sunning yourself in a remote Caribbean hideaway! You'll essentially receive the same training as those who attended the original event, including a comprehensive set of written instructions which shows exactly how the system works backed up with a series of bespoke screen capture videos which show absolutely everything you need, including demonstrations of actual real life examples. In short, you'll be getting absolutely everything you could possibly need to be able to get results like Christopher S who tells us he makes between £9,000 and £10,000 a month and has done consistently over 12 months! All in all, Tony's training materials will guide you through absolutely everything, every step of the way, so just like him, YOU too can get outstanding results! So there you have it ... the closest thing to 'CASH ON TAP' you'll come across! This is just a fantastic opportunity to grab yourself the chance to make a HUGE difference to your lifestyle simply by looking at things in a slightly different way and doing something a little unusual that ordinary people don't even think about ... remember, this is proven, it's easy and above all it's fun! It's truly the ultimate laptop opportunity ... ALL the thrill of collecting the money but absolutely NONE of the mundane or complex issues of conventional business! ... don't forget Tony is just an ordinary guy who has made hundreds of thousands of pounds from his completely failsafe insured offset betting techniques that he's now improved and added to, all while he was holding down a full time job! That's pure profit - there are no taxes to pay - no expenses or overheads to be deducted - it's just cash in his pocket that he could spend anyway he wanted! 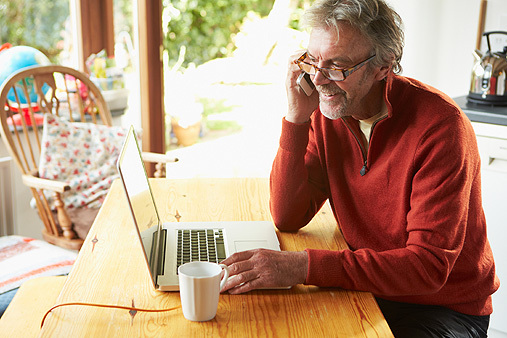 Having recently retired however, it's enabled him to lead a wonderfully relaxed DEBT-FREE lifestyle and even pay off his mortgage as well as the mortgage of a close member of his family as well! Steve Richardson of Bury who tells us he's making £2,000 to £3,000 a month using the same methods. These are just ordinary people who have followed the system properly and are absolutely delighted with their success (... and no they're not people we know who we've just paid to say this)!. Living truly DEBT FREE and having the time to enjoy GENUINE FINANCIAL FREEDOM is something so few people ever experience ... but you can! So YES, it really is possible - you could be the one making this kind of cash yourself and if you follow the step-by-step instructions to the letter ... I FULLY EXPECT you could be earning the same kind of cash within just 6 to 7 months from now (... although please remember results will vary and yours will largely depend upon how well you follow the system and how often you utilise it)! Of course, with an offer like this it's inevitable that demand is going to be HUGE ... after all, rarely does a genuine chance come up where you can be shown something so simple and have it proved to you beyond all doubt that you could make so much money with so little effort! Well it's not a dream, the brand new Daisho-Lite System can genuinely make it a reality! 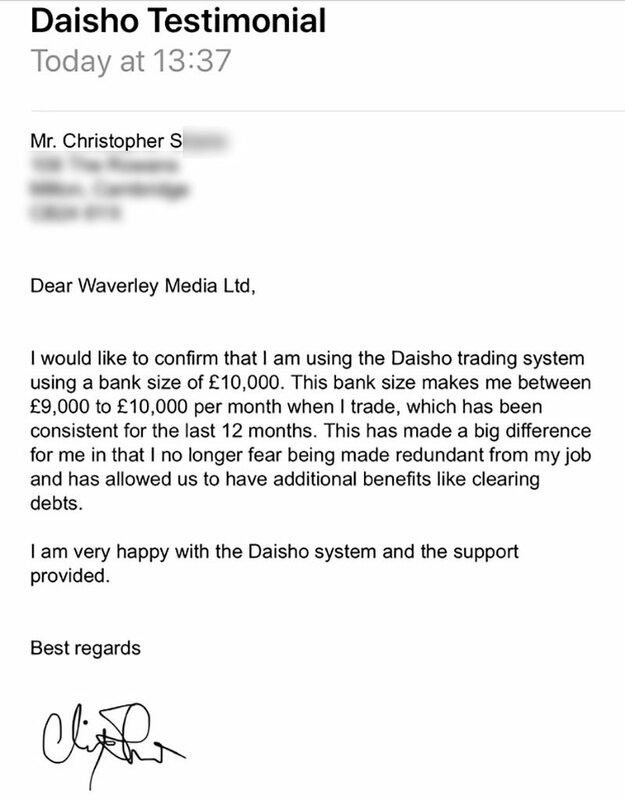 Which is why The Daisho System was originally offered at various prices ranging from £1,300 plus monthly fees up to over £2,500 all in depending on what level of support was required. ... we are offering this at the MASSIVELY REDUCED PRICE of just £397 (inc VAT)!! Of course there are still costs involved for us to make this available to you but overall we think this is an incredibly fair price considering it's a system that could genuinely enable you to make a life-changing income! Seriously this whole opportunity really can change your life and if you actually do what you're shown, realistically speaking I can't think of an easier way for you to make the kind of income that many people only ever dream of! ... not only will I refund every penny you've paid but you'll still have access to totally FREE OF CHARGE detailed instructions on a standalone system which in our testing made a minimum of £200 to £400 in 30 days or less (... this can be used as often as you like but please be aware that that the amounts that you could make will vary, largely depending upon how well you follow the system and how often you utilise it is). Absolute Proof This Works - If you're not convinced, have a refund AND a FREE system which in our testing made £200 to £400 in 30 days or less!!! As soon as you decide to give this a try you'll immediately be able to access the demonstration and watch Tony prove to you that his system really works and why his insured offset betting methods make this the safest football market money making programme out there. Then at any time within the next 14 days, up until the point that you decide to proceed and continue with the programme, if you're not completely happy and convinced that you can use the methods you're shown to potentially earn yourself up to £2,500 a week (... around £10,000 a month), as Christopher S tells us he does, you can ask for a refund and I'll happily return every penny you've paid in full, no questions asked. Please remember though that results will vary and yours will largely depend upon how well you follow the system and how often you utilise it! At the very least in this situation YOU'LL HAVE YOUR MONEY BACK and will STILL get the FREE standalone system which in our testing has made a minimum of £200 to £400 in 30 days or less, which is yours to keep just for finding out what this is all about (... please be aware that this system can be used as often as you like but the amounts that you could make will vary, largely depending upon how well you follow the system and how often you utilise it)! So to summarise, you can watch the demonstration and if after having seen all the proof and actual examples you're not satisfied, you can have a full refund of what you've paid me and still walk away with detailed instructions on a totally FREE OF CHARGE standalone system which in our testing made a tax-free profit of £200 to 400 in 30 days or less and you're free to use as often as you wish. 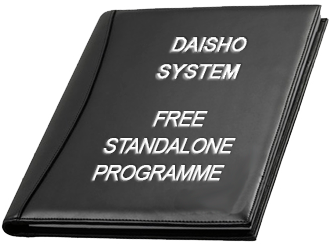 ... if as I expect you to be, you're super excited, of course you'll still get the standalone system but then you can continue with the programme and enjoy receiving comprehensive training for the full Daisho-Lite System which you can follow at a pace that suits you. In this case you'll receive all the training materials along with a comprehensive set of written instructions backed up by bespoke training videos. Risk Warning: Please note that you must follow Tony's methods correctly. If you do not, you stand a very real chance of losing money whilst using the system. Tony's methods are designed to allow you to manage the whole process in such a way that you win and make a decent profit 97% of the time and the remaining 3% of the time, either make a small profit or at the very worst break-even. However if you do not follow the instructions properly or make a mistake, then of course the situation is completely different and you may well lose money. This is one reason why you are encouraged to ensure you are completely familiar with the Daisho-Lite system before you use it. So, isn't it worth seeing if this really is 'the one' you've been waiting for ... if it really can enable you to live a HIGH INCOME ... DEBT FREE and ultimately STRESS FREE lifestyle? Remember you don't need any special skills or abilities ... the whole Daisho-Lite system is based around a very simple but clever way of offsetting one thing that happens in a football match off against something that happens a little later and you'll be shown every step right from the beginning. And if you follow the system correctly, you can experience the thrill of WINNING without the stress or worry of losing! Or you can click away and accept that you may never get access to such a clever way of making a fantastic additional income again! ... this is a unique insured offset betting programme that involves little more than logging on to your computer when you need some extra cash ... visiting a few specific locations on the internet and then, based on a specific criteria, carrying out some simple procedures that will take you much less time than most people spend watching TV each week. ... and pretty soon, like Christopher S from Cambridge or Steve Richardson from Bury you could be the one excitedly telling us how you're making anything from £2,000 to £10,000 a month in around 6 to 7 months time ... which is all yours to spend ... there are no further taxes or expenses to come out of this (... please remember that your results will vary depending on how well you follow the system and how much effort you put in). ... and you genuinely can get this set up within an hour or two and be well on your way to making your first profits. Of course you're going to want to be cautious at the beginning but because there isn't anything else to do other than simply using the system, you really will be able to start straight away! Oh and it’s a lot of fun as well! ... WHY WOULD YOU NOT DO IT? Ok well that pretty much brings me to the end of this letter. I hope I've convinced you what a fantastic opportunity this is. 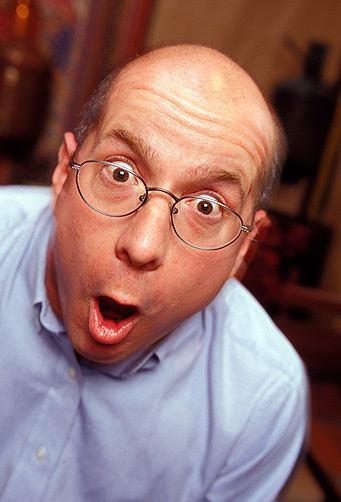 Tony's just an ordinary guy who lives a wonderfully relaxed lifestyle with his unique insured offset betting strategies which I believe are the cleverest and safest out there and because he loves showing people what he does, you can copy him and change your life forever. He gets up when he wants to and decides how he's going to spend his days ... you could too! If he needs extra cash for any reason he simply places a few insured bets to get it ... he can show you exactly how to do the same! Because he no longer has to work he never has to worry again about deadlines or having a boss breathing down his neck ... you wouldn't need to either! And he pretty much chooses to live in any way that suits him ... which is how you could be living as well! It's SO EASY to understand that even the nay-sayers will finally 'get it' and rather than 'attack' him, get on board and join him! 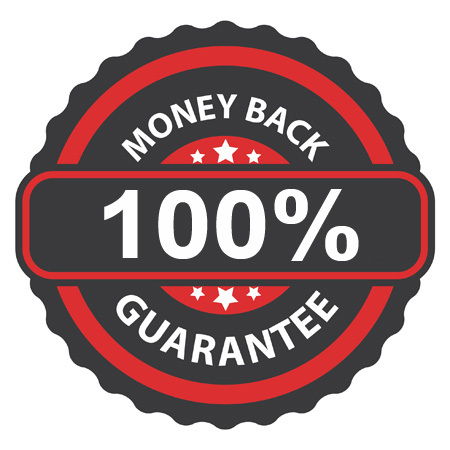 Why not make today the day you do something different by securing your Daisho-Lite System immediately, if nothing else, you'll get the FREE BONUS standalone system which in our testing made a minimum of £200 to £400 in 30 days or less. I'm going to give you this just for finding out what this is all about remember! There's no waiting! Click here to get INSTANT ACCESS to the Daisho-Lite demonstration RIGHT NOW! Don't forget the FANTASTIC FREE BONUS which is yours to keep just for watching the demonstration!!! No, this is a genuinely profitable 'standalone' system which in itself is worth many thousands of pounds! 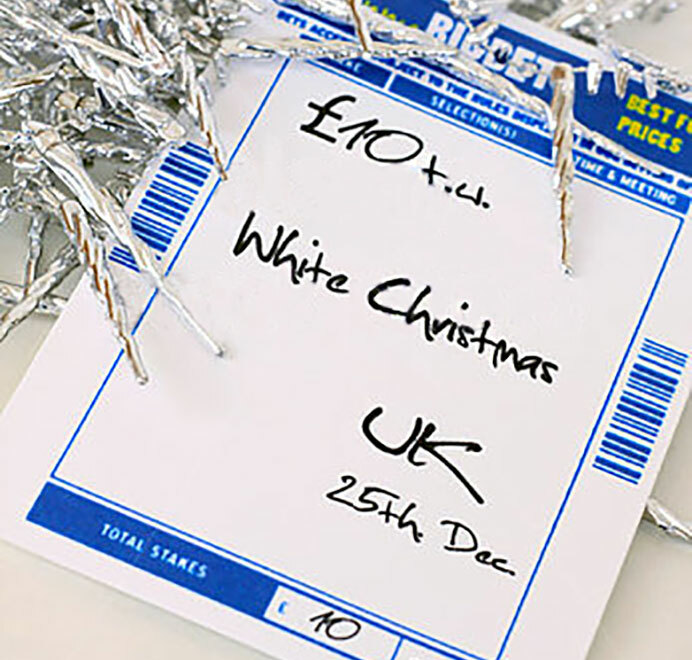 ... a minimum of £200 to £400 in 30 days or less! By the way, even if you think you know what this is, I can pretty much guarantee you won't have seen anything like it before - IT CERTAINLY ISN'T 'matched betting' or anything similar to that! Just the immediate income you can generate with this little bonus will quickly cover the cost of the system and much more! Important note: Unlike Daisho insured offset betting where a minimum of one bet is offset against one or more other bets during a football match, the standalone programme is a structured betting system that is designed to make a profit based on statistics. It doesn't rely on the offsetting principles of the main system. So there we are, not only am I so confident of your success with the Daisho-Lite System but with this incredible FREE bonus you could potentially pocket yourself a tax-free £200 to 400 in 30 days or less as we did in our testing (...please be aware that this system can be used as often as you like but the amounts that you could make will vary, largely depending upon how well you follow the system and how often you utilise it). It's true WIN / WIN!! Don't you owe it to yourself to make today the day you really make a difference? Make the decision now while it's fresh in your mind and then you can sit back and relax knowing that this amazing opportunity to change your life once and for all is secure. As soon as I receive your application I’ll give you access immediately. ... in other words, there really is just so much to gain by giving it a go! "Imagine 6 to 7 months from today having the FREEDOM to take whatever kind of holidays you want, whenever you choose! As I said, Tony’s already living the dream lifestyle that so few people ever experience, yet is available for virtually anybody who’s prepared to try it! This is pretty much how I started. I was trained in a system that changed my life (... although it was considerably harder to operate than Tony's simple formulas, I can tell you). It took me from a corporate life of quiet desperation to one where I was earning between £10,000 and £15,000 a month in a very short space of time. Now I'm a Multi-Millionaire just because I took the decision to try out something new when it was presented to me. Today there really is no reason why you can’t have the same. So would you like to be one of the privileged few to be shown a brand new way to a brighter future? Remember you don’t need any experience to do this and you can see it in action BEFORE committing to continue with it ... if after watching the demonstration you decide it's something that's not for you, then I'll simply refund you every penny you've paid me ... I can't be fairer than that! Don't forget, there's no waiting! CLICK HERE to get instant access to the Daisho-Lite demonstration RIGHT NOW! Don’t waste another second, make today the day you grab an opportunity and try it! As I keep saying, you don't need any experience to do this and you have absolutely nothing to lose by watching the demonstration to see what it's all about (... and a potential £200 to £400 in a month from a free standalone system which in our testing made this amount)! ... like Christopher S, you could be telling us that you're also making between £9,000 and £10,000 a month tax-free (... please be aware that results will vary, largely depending upon how well you follow the system and how often you utilise it). Of course if you're happy with that, then that's great, I wish you well. But if you're the type of individual who has the mindset of knowing that there's got to be another way but you just haven't found it yet, then this is a perfect opportunity for you to finally take 'the bull by the horns' and try something that is already proven. By the way if you have any questions or you’re still not sure of anything, feel free to email me directly at timlowe@markiteer.com and I’ll get back to you straight away. All you've got to do is grab it! And on that note, I'll end by saying thank you for taking the time to read this letter which I hope has made clear why this is so different from anything else out there right now. I know that sometimes things can appear too good to be true but this system is something quite extraordinary and the near failsafe principles behind it are already PROVEN. But you don't have to just take my word for it, you can watch the demonstration of actual real life examples WITHOUT ANY OBLIGATION WHATSOEVER! Remember, Tony's made hundreds of thousands of pounds tax-free from his methods over the last few years and that was before he improved them. If you take action today and watch the demonstration, at the very least you'll be able to get all the money you've paid me back and still have access to my FANTASTIC FREE BONUS standalone system which in our testing made a minimum of £200 to £400 in 30 days or less (... please be aware that this system can be used as often as you like but the amounts that you could make will vary, largely depending upon how well you follow the system and how often you utilise it). The immediate monthly income you can generate from this bonus alone will more than cover the cost of the system in a matter of months! Now that's got to be a deal that's too good to miss!! P.S. I can't stress enough that what makes this system so special is that it's GENUINELY based around the principle of offsetting one thing that happens against another without EVER losing overall SO YOU CAN DISCOVER HOW TO ENJOY THE THRILLS OF WINNING SUBSTANTIAL AMOUNTS OF CASH WITHOUT THE FEAR OF LOSING! It's an incredibly exciting concept that you have to see to believe! P.P.S. This really is a GENUINE opportunity to try something new without committing to a large investment before knowing whether it's right for you or not! All you have to do is watch the demonstrations of actual real life examples for absolute proof that this works ... and then decide if it's something you want to carry on with. If after watching the demonstrations you feel it's not for you, there's absolutely NO OBLIGATION to continue. There'll be no questions, no hard feelings and you'll still have the FREE standalone system that in our testing made a minimum of £200 to £400 in 30 days or less (... please be aware that this system can be used as often as you like but the amounts that you could make will vary, largely depending upon how well you follow the system and how often you utilise it). P.P.P.S. This system is truly different. You really can get started within the next 4 minutes and within an hour or two from NOW, actually be up and running and on your way to collecting your first profits! You could then easily go on to earn as much as Christopher S of Cambridge who tells us he's made £9,000 to £10,000 A MONTH consistently over a 12 month period . Or Steve Richardson of Bury who tells us he's happily making £2,000 to £3,000 a month (... please remember that your results will vary depending on how well you follow the system and how much effort you put in)! To avoid disappointment, click here to get INSTANT ACCESS to the Daisho-Lite demonstration RIGHT NOW! You can discover the ingenious secret behind Daisho-Lite, then see the proof and the demonstration of actual real life examples with NO OBLIGATION whatsoever! If you're not absolutely convinced by what you see, you can still walk away and it won't have cost you a single penny! 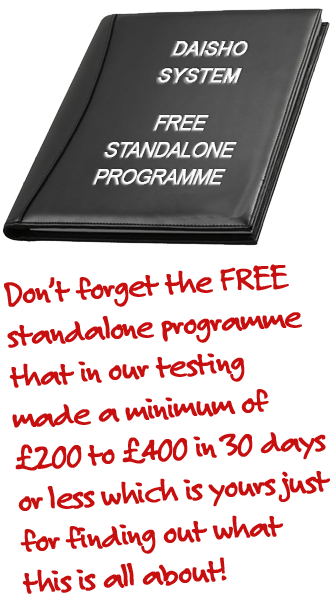 Even if you decide after the demonstration that it's not for you, you'll STILL receive a totally FREE standalone system which in our testing made a minimum of £200 to £400 in 30 days or less! By the way, this is definitely NOT matched betting (... please be aware that this system can be used as often as you like but the amounts that you could make will vary, largely depending upon how well you follow the system and how often you utilise it. This IS the one you've been waiting for! 97% of the time the process makes a decent profit and just 3% of the time it makes a small profit or at worst breaks even meaning that you could potentially be joining people like Christopher S of Cambridge who tells us he's making between £9,000 and £10,000 a month tax-free (... please remember that your results will vary depending on how well you follow the system and how much effort you put in)! If you can 'point and click' a mouse on a computer you can do this ... there are absolutely NO technical or special skills needed. If you decide to continue with the programme you'll also get comprehensive written instructions backed up by bespoke screen capture videos which make the whole system easy to follow. 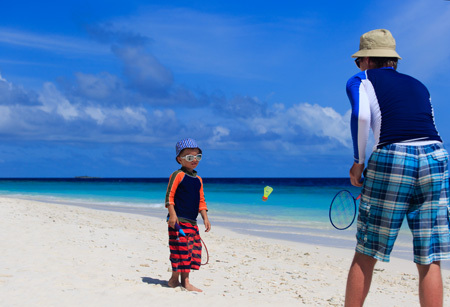 You honestly can do this from pretty much anywhere in the world as long as you have a computer, laptop or Mac and can get a reasonable broadband connection ... whether it's your kitchen table or a beach in the Seychelles! It really can be done as little or as often as you want to ... you don't have to give up what you're doing now ... you can make a full-time income from it or keep it as a part-time 'little earner' ... it's entirely up to you! Because there are literally hundreds of matches every month which you could use the system on and these are played at different times all around the world, you will almost always be able to make money from this no matter what time of day or night you want to! There's no need to watch football or even like the game, in fact you don't need to have any interest in it whatsoever in order to be regularly pumping decent cash into your bank account every week!!! There simply isn't an easier way for anyone with even the most rudimentary computer skills and a little enthusiasm to make EXTRA TAX-FREE CASH whenever you need it! This is not a 'get rich quick' or any other kind of daft scheme full of empty promises. This is a genuine, proven way to start with as little as £300 and go on to potentially make A LIFE-CHANGING INCOME in just 6 to 7 months from now! Seriously, once you truly understand how to take advantage of offsetting a football market without ever losing, you'll know you can always make a profit and look after you and your family, no matter what's happening in the world around you! Remember Christopher and Steve from earlier? 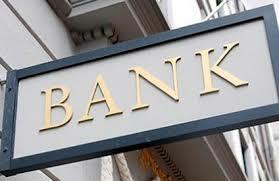 "Thanks Tony, I have almost doubled my bank in just over a month after coming to the course ... I have learnt a lot over the last month or so and feel that the system has great potential to get me to a point where I could move to either a 3 day working week in my current job or even do the trading full time (that's my dream!!!) and reap not just the financial rewards for sticking to the system but also to be able to spend more time with my family is the real driver. I know it's only been a month or so but this system for me has everything that I’ve been looking for all these years... Cheers Aaron"
"Hi Tony... I just thought I would let you know that since I last emailed you regarding me doubling my starting bank after the course, in just over a month, this time I have doubled it again with 5 days to spare ... Cheers Aaron"
"The good news is, I have been doing your methods exclusively for just over a month now... and in that time, I have made £392.59 – from a depleted starting bank of around £455 – That’s an 85% increase in 39 days with zero losing trades! Kind regards, Clifford Truss"
"Hi Tony, I have completed trades using Method 1, 2 and 5. Record to date 18 successful trades plus 8 successful recoveries more than doubling my bank in less than a month ... Already part way to doubling again over next 4-6 weeks. Regards Tony Kirkham"
"I've doubled my £300 bank in three weeks. I would like to thank you for the info and help you have given to me. Eddie"
"Tony, No questions, I just really wanted to say how much I’m enjoying this course, and am so impressed with the videos and thoroughness of training. It is all sinking in! Thank you so much for sharing and teaching your methods. N Stobbs-Skinner"
"Tony… just wanted to let you know that I have more than doubled my bank in the first month and looking like doing it again in the second month. These methods are just excellent and I can’t thank you enough. Keith"
"Hi Tony, I just wanted to let you know that since the course I've won every trade I've done. The couple of little nuggets about game selection have made all the difference. I've only been doing methods 1 & 2 but I'm studying the rest and should be able to get going on those soon. Cheers, Paul"
With what's on offer here and a saving of over £2,000, what possible reason could you have for NOT at least seeing the demonstration to find out what it's all about ... it's a NO-BRAINER?!! You don't have to wait! CLICK HERE to get instant access to the Daisho-Lite demonstration RIGHT NOW!